The only news you can trust! 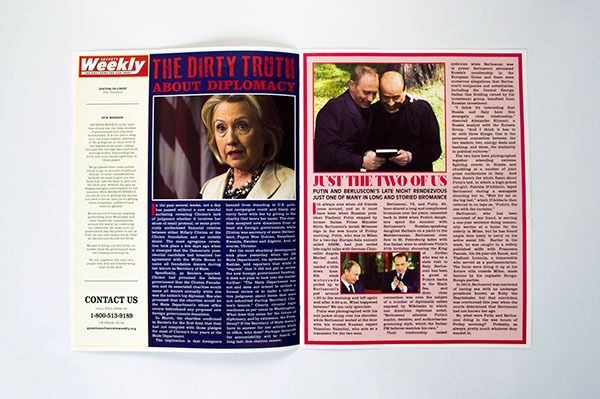 Secrets Weekly is a short tabloid publication focused on state and corporate secrets, a realm so rife with unverified conspiracy theories that the sensational tabloid feels a natural fit. 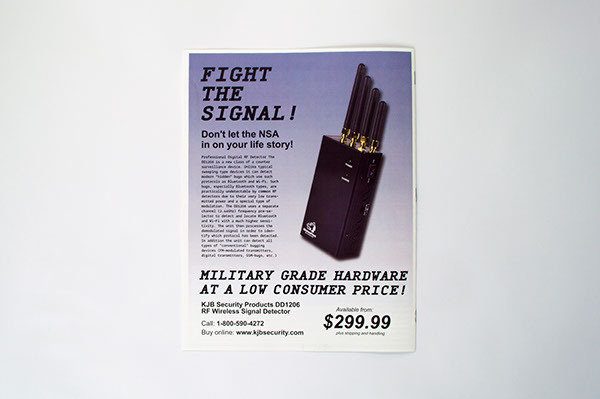 While edited and designed by me, the content is pulled from all over the web, and is mostly hearsay, rumor, conjecture, and occasionally, outright lies. 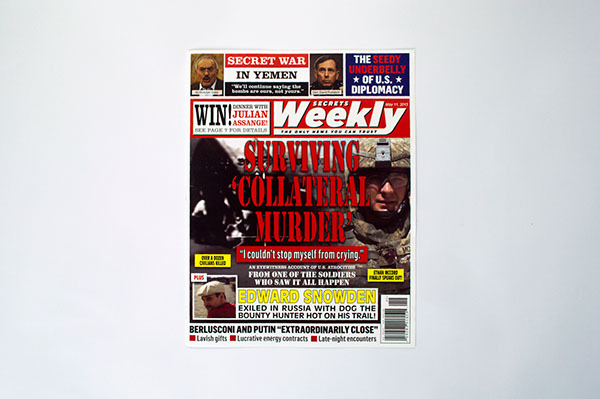 Secrets Weekly is a short tabloid publication focused on state and corporate secrets, a realm so rife with unverified conspiracy theories that the sensational tabloid seems a natural design language to adopt. While edited and designed by me, the content is pulled from all over the web. 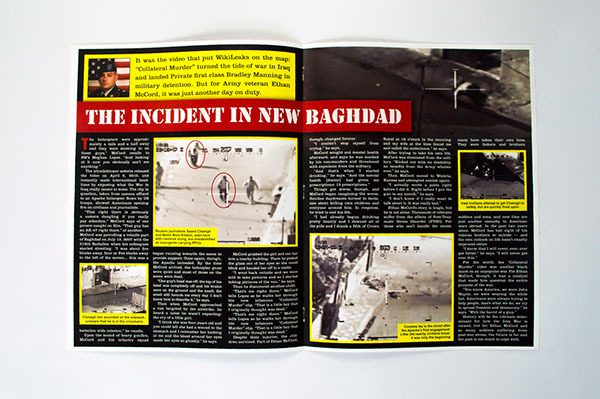 The magazine is a single edition made part of a three-piece series exploring government transparency.